This light fits well into any casual decor. The five arms allow for plenty of light. The center is spun from poplar hardwood then painted. 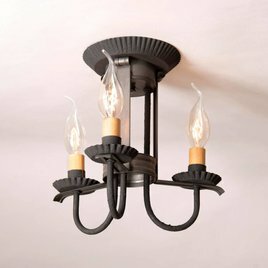 It will provide plenty of light in entrances, hallways and bedrooms throughout your home. 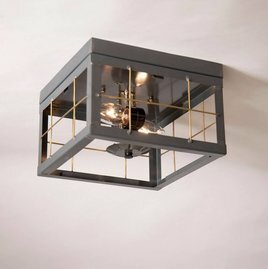 This Country Tin Ceiling Light with Brass Bars is a versatile ceiling light and can be used in several areas of your home. A great touch in an upstair hallway or as a pair in a downstairs entryway. Light uses two bulbs. 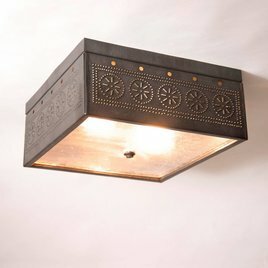 Add the beautiful Square Pierced Ceiling Light to your country home. 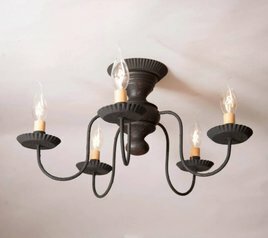 This beautifully handcrafted ceiling light in the popular chisel pierced style is stunning. 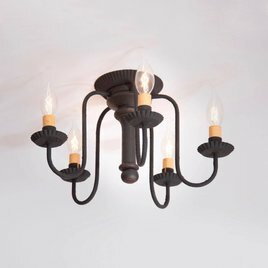 Available in 4 finishes & designed to accent your cozy home. This light fits well into any casual decor. The five arms allow for plenty of light . The center is spun from poplar hardwood then painted. 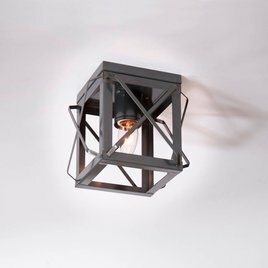 It will provide plenty of light in entrances, hallways and bedrooms throughout your home. 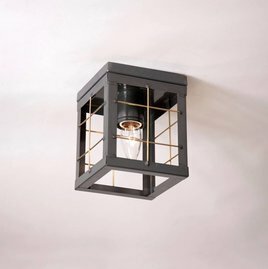 This simple, cozy, Single Ceiling Light with Folded Bars is a perfect touch for your country home. Available in 3 colors. Used in a hallway or bedroom this 60 watt max. bulb will cast a good amount of light. Made in the USA. 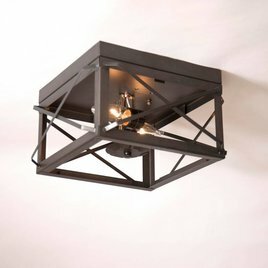 This simple, cozy, Double Ceiling Light with Folded Bars is a perfect touch for your country home. Available in 3 colors. Used in a hallway or bedroom this 60 watt max. bulb will cast a good amount of light. Made in the USA. 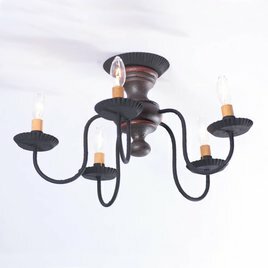 The Country Tin Ceiling Light with Brass Bars is a very versatile ceiling light. 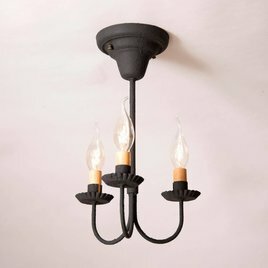 A timeless touch in an entry or upstairs hallways. 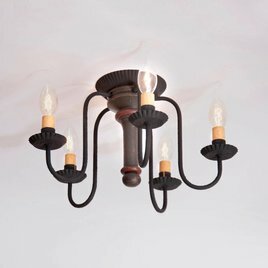 You'll love the full glow lighting and warmth this single light will bring. Made in Pennsylvania, USA.